If you’re building a list and you should be, you usually have to choose between your subscribers having to confirm their subscription (opt-in) or not. … Have to confirm their subscription by clicking a link in a confirmation email which means the email address they used is a valid one and not a fake or throwaway one. A fake email address will never receive any follow ups and a throwaway one is generally used by people who very rarely if ever check that inbox. Because the subscriber has used a genuine email address the chances of further engagement are greater. If you use an email service provider like Aweber you will pay them per the number of subscribers you have. Having only genuine subscribers means you are not paying a fee for dead email addresses. It is one extra step for your subscribers to do before they access the content you provide. This can result in customers not bothering or forgetting to confirm their subscription or the confirmation email may go in their spam folder. It can be off putting and seem a little spammy for a customer to receive many emails when they first sign up. 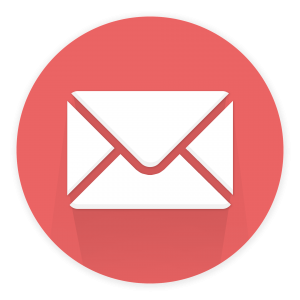 If you send a confirmation email followed by a welcome email and that is quickly followed by your first offering of content then this could put some off remaining a subscriber. … Only have to submit their email once for immediate access to your content. No need for them to confirm their email address. You have no worries about your subscriber forgetting to confirm their email address or that they miss your confirmation email because of spam. Single optin subscribers are added immediately to your list. You can immediately follow up with them and not have to wait for them to confirm. There WILL be sign ups using fake emails if you offer your content immediately. Even if a subscriber doesn’t use a fake email they could miss type their address and it would still join your list. Major email service providers recommend double optin to ensure you get the best service they can provide. Some countries have laws about privacy that will mean you must use double optin when offering your content to them. Whichever method you use is down to personal choice and now you know some of the pros and cons for each method you are better armed to decide. If you are selling something on platforms like JVZoo for example, you can integrate the major email players in to your product and therefore single optin should be fine as people don’t use fake email addresses when buying things. If you are using a squeeze page with a free offer to attract subscribers, then it might be best to use double optin to eliminate dead emails. If they can’t be bothered to confirm their email they are hardly likely to become a paying customer and you don’t really want to pay a monthly fee for non-existent email addresses.